Bringing over 20 years of experience in Engineering, Design, and Technical Operations, Seth leads his team in developing new and innovative technologies for the telecommunications industry. 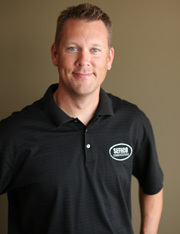 Working with SEFNCO since 2003, "(Seth) enjoys the competitive spirit of our employees and the collective focus on excellence in our industry." In his free time Seth works with local youth sports programs, helping to build teamwork and sportsmanship, and enjoys spending time with his family.